This book was previously published with eXtasy Books. There are added scenes and a change of cover art. If you have already purchased this title and require a copy, please email Rachel (rjscott.team@gmail.com) with proof of purchase and she will send you a replacement. As part of our panel for GRL 2013, Amber Kell, Stephanie Hecht and I are wrote a trilogy of linked books set in Vermont. After a hate crime leaves one of them near dead, Veterinarian Josh Nolan and Cop Connor Vincent are starting a new life in Black Creek, a remote town on the edge of the Green Mountains range, Vermont. Josh is taking over his grandfather's practice, and Connor starts a new position with the local sheriff's office. When Connor becomes curious about unsolved crimes going back fifty years he can't know the kind of secrets he begins to unearth. Or the danger that he puts himself and Josh in. MM Good Book Reviews - 3.5-4 /5 "... Ah this story is like a breath of fresh air, so different from the typical shifter stories that you come across. 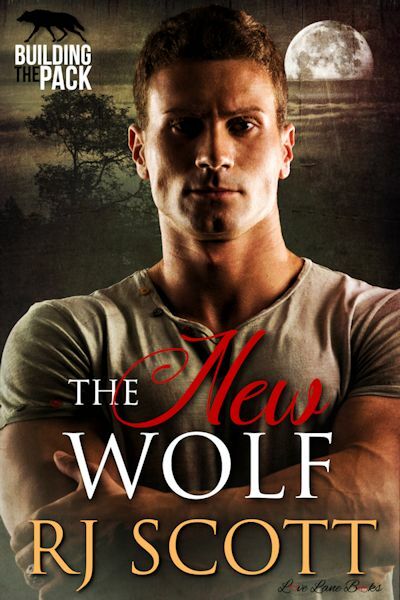 A dangerous lone wolf seems determined to decimate the wolves of Black Creek and Connor and Josh get dragged into the danger by accident, which causes a strain in their relationship as Josh tries to accept what has happened. Connor is the poor soul who stumbles on the town secret and his situation is beautifully described, Josh's reaction is one of the best I have ever seen and I was so thankful that he didn't just throw himself into Connor's arms but held back to process what he had learned. ..."
Mrs Condit Reads Books 4/5 - "....RJ’s writing style is straightforward, eloquent, and concise. I love how she takes the same old shifter premise and gives it new life with a fresh and original twist. After a heartbreaking death and a near tragedy, the story does have a HEA ending. I thoroughly enjoyed reading the book, and I’m definitely looking forward to the next one in the trilogy. If you’re looking for a shifter tale that is anything but ordinary, this is the book for you...."
Coffee Time Romance - 4/5 - "....The New Wolf is a good shifter story with characters that are endearing and scary. 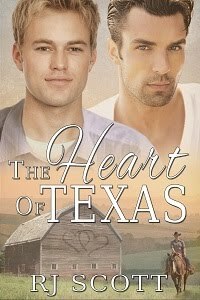 Conner and Josh are deeply in love, and the reader is able to feel every emotion. The storyline is solid and provides an entertaining and somewhat mysterious read. Ms. Scott provides an emotion-packed shifter story for the romantic and shifter lover at heart...."
Fallen Angel Reviews - 5/5 - "....This incredible story began with a bang and never let up until the very end...."
Howls in the distance echoed through the trees. There are more? This wasn’t going to be a fight. This was a pack hunt and he needed to get the hell down to the car. With no further thought, he leaped to his feet and ran with every ounce of energy he had and tumbled headlong into the dark, hoping to hell he was heading the right way. The sounds behind him defied description, snarling, growling, and the noise of something crashing through the undergrowth and it was getting closer with each step. He wasn’t going to make it back to Josh. He was going to die here in this place, and he would be the next death on the unsolved crimes list. Panic made him stumble and with inevitability coursing through him, he simply curled into a ball. The wolf was on him and tore at his thigh, then clamped his teeth around Connor’s arm, shaking him like a chew toy. When Connor was thrown clear, the wolf lazily padded over, his teeth exposed in a fearsome snarl. Connor waved the stick, but the wolf merely used a huge paw to push the stick and the hand to the floor, then used its weight to pin Connor. Connor wriggled and tried to move, but there was nothing he could do. Teeth glinted in the dark, then the wolf clamped them on Connor’s shoulder. The pain was incredible and he could feel his flesh tearing. Then nothing as the wolf shook him and released him. Connor moved back, his vision tinged with red. Blood ran freely from the tear in his shoulder, and he knew he was going to die. A second wolf joined them, leaping into the space between the first and Connor. There was a standoff. Connor wasn’t sure what he was watching, but when a third and fourth wolf joined the crowd and stood between him and his attacker, it was clear he was being protected. The large killer wolf snarled and snapped, then in an instant, he ran. Connor closed his eyes. The pain was too much and he was bleeding out. Voices sounded above him. Angry and snappy, they argued. That last voice was familiar. Connor blinked and opened his eyes. Through the blur of blood, he thought he saw the guy from the alleyway, Tiber, and the sheriff were there? What the hell was going on? He didn’t understand. A wolf stood over him. Beautiful, brindled dark and black with green gold eyes. When the wolf bared his teeth and sunk them into Connor’s throat, his last thoughts were of Josh. Josh, I’m not supposed to die without being able to say goodbye. Wake up? He was dying. He couldn’t breathe. He wished Josh could hold his hand as he died.